Sign-up to get COLA's eNewsletter, "Short Ears, Long Tales," emailed to you every month (every other month during the winter). Short Ears, Long Tales provides unique and intriguing stories about LCO and its inhabitants. The articles have mostly been researched and written by the free-lance writers listed below. 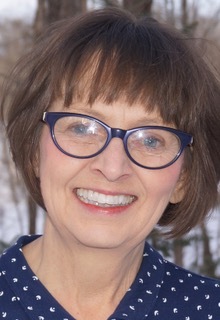 Kathy Hanson is a free-lance writer for various local and regional newspapers and Duluth magazines. She is a staff reporter for the Sawyer County Record, the Sawyer County field editor for Our Wisconsin magazine, copy editor for the Bayfield County Journal, and feature writer for the Sawyer County Gazette. She was previously a staff reporter, business writer, columnist and copy editor for the Sawyer County Record. Allison Slavick works as a consultant to nonprofits all over the country, especially museums. For fifteen years she directed the Cable Natural History Museum, and previously worked at the New York Botanical Garden and the Smithsonian Institution. She mountain bikes, skis, and picks berries near her home on Crystal Lake in southern Bayfield County. Slavick is the Czech word for nightingale, a group of which is called a watch. COLA also sends out periodic email eBlasts dealing with items of importance to COLA members and friends of LCO. Most of the eBlasts explain COLA's press releases and provide information on critical issues. Check out the videos, COLA brochures and books below to learn more about Lac Courte Oreilles and what COLA is doing to preserve it! This book, edited by Tom and Sue Burgess, together with COLA’s history committee, provides a detailed history of Lac Courte Oreilles. The book is available through COLA and the Sherman & Ruth Weiss Community Library in Hayward. Contact communications@cola-wi.org for more information on how to obtain a copy. A well-referenced compilation of paintings, stories, photographs, and history published in 2012 by Sara Balbin, James R. Bailey, and Thelma Nayquonabe. It is available from the Lac Courte Oreilles Ojibwa Community Library. This 2004 publication, compiled and wrtitten by Caryl A. Pfaff and Ann Marie Penskover, is a compilation of community and history center photographs available from the Lac Courte Oreilles Ojibwa Community Library. COLA Brochure: "Who We Are"
"SHORT EARS, LONG TALES": Monthly e-Newsletter. Past issues here. "THE LOON CALL": This publication is sent out as the need arises. For past issues, email us with your request. Past issues here.